And I’ve begun. 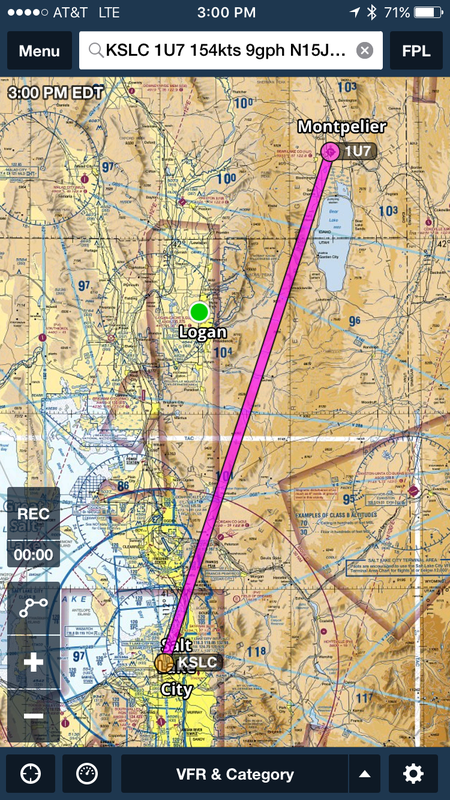 The Saratoga now sits at virtual Bear Lake Co. airport in Idaho after a short flight up VFR from KSLC (on PilotEdge). I think from there I’ll take it to Montana for some virtual fishing. One of the things I’m going to do along the way is make photosceney and design airports. There is no good 3D 1U7 in X-Plane so I believe I’ll make one. What app are you using on your Yoke mounted iPad? This is s great idea, I’m loooking forward to viewing your updates as you progress with your journey.